Our list of the best places to shop and things to buy in L.A. this year includes a gift shop in a carwash, a bar-supply store that’s a mixologist’s dream, and a nail salon with Japanese roots. A high-caliber writing instrument can make even drafting a to-do list a joyful exercise. Where some places traffic mostly in disposables and others concentrate on a few high-end brands, FLAX goes deep. Located near UCLA in Westwood Village, the boutique can set you up with anything from a $25 Retro 51 Tornado roller ball in a range of candy brights to a $925 looker from the King of Pens line by Japanese brand Sailor. Like your strokes thin and crisp? Soft and bold? Not sure? The staff will add ink to any pen so you can try before committing. Up your accessory game with a smart pair of cufflinks. The selection at David Yurman includes sets made with 18 karat gold or sterling silver, and stones such as malachite, tigereye, and black diamond. If that’s not exotic enough, how about meteorite? You’ll find everything from classic cable designs to simple studs to lion heads, all exceedingly tasteful. If the idea of blinging up your wrists inspires, you’ll appreciate the selection of hefty yet elegant bracelets and rings. If you want a power-assisted pedaler, you should go to a shop devoted to them. 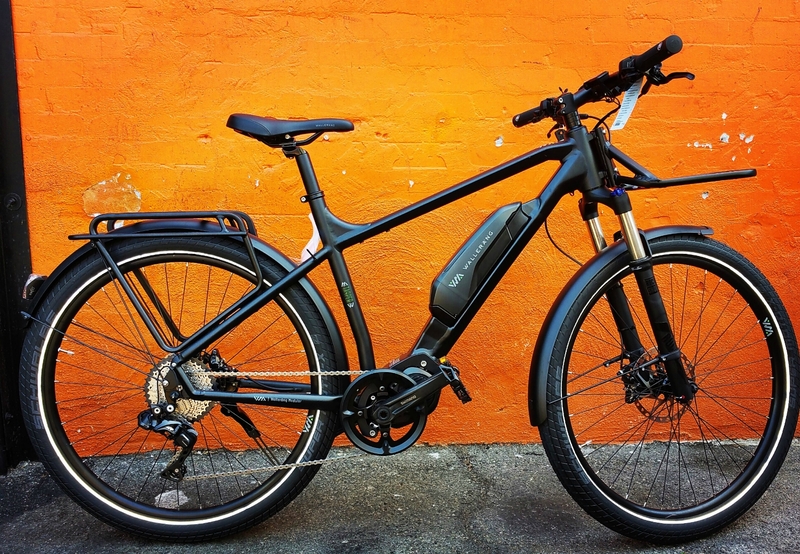 While El Segundo’s Electric Bikes LA won’t disappoint, Bike Attack Electric+ in Santa Monica reigns supreme. Hundreds of battery- powered models fill the space, including mountain bikes (Cannondale, Scott, Bosch), commuter bikes (Corratec, Bianchi), beach cruisers (Elux,Blix, M1 Sporttechnik), and cargo bikes. Just as important: The patient staff asks lots of questions and presents loads of options to make sure you find the right ride. The collection of cooking-related tomes in Chinatown’s teeny Now Serving is hunger-inducing, and Soap Plant/Wacko in Los Feliz is the go-to for edgy pop culture reads. But nobody does niche quite like art and architecture specialists Hennessey + Ingalls. The breadth and depth of new and gently used books at this Arts District emporium is staggering. We counted more than 50 titles on Andy Warhol alone. Out-of-print titles fill the back room, while the California and Los Angeles section is enough to mesmerize any student of the region. With a wall of windows overlooking Newport Harbor and glass portholes in the floor that let you watch fish swim below, A’maree’s feels more like a beach resort than a store. Soak up the sunlight as you shop haute couture labels like Azzedine Alaïa and Bouchra Jarrar or browse the macramé wall hangings, vases by Wren Ceramics, and sculptures by Patricia Roach. Looking to save a little? A’maree’s Sale Away on nearby Balboa Island sells discounted items and apparel from past seasons. Sepulveda Car Wash has a hefty selection of fancy candles, and the coffee’s free. 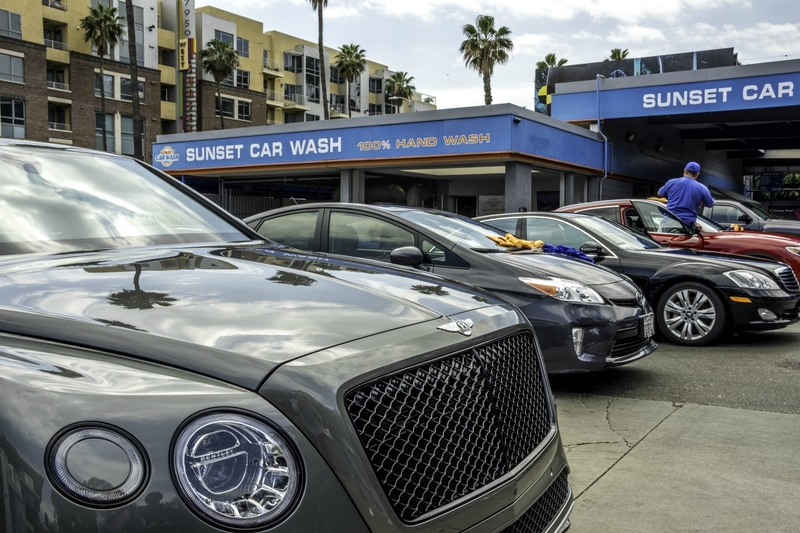 Still, it’s no Sunset Car Wash Gift Shop. The WeHo-adjacent operation qualifies as a genuine time-saver. Along with Jack Links protein snacks and kombucha drinks, you can pick up quick gifts like an owl-shaped tea infuser or a remote-controlled toy Ferrari for your friend’s offspring. Top it off with a note from the broad card selection, and you’re ready for the party. The blocks-long piñata district near downtown is a world unto itself, populated with dangling metallic stars, giant tequila bottles, superheroes, and Disney princesses. Fiesta Mex doesn’t offer just the usual suspects, it also creates custom piñatas. Bring a printed photo of whatever you’d like to turn into a piñata, and in about a week it’ll be ready to have the stuffing beaten out of it. Dizzying rows of towering aisles are filled with all sorts of sweets to pack into your piñata, along with the party supplies you’ll need to put on a proper shindig. Finding new makeup can be trying. Does the Sephora clerk with the glittery eyelids really know the best foundation? Is the sales pitch from the woman pushing face wash at the department store legit? Violet Grey takes a different approach: The Melrose Place boutique sells products that have been tested and chosen by a team of professional makeup artists, hairstylists, and estheticians. And as a bonus, among the tubes and palettes on the glass shelves are store exclusives that include products from Augustinus Bader, Jillian Dempsey, Utowa, and Yves Durif. Yoga clothes have become the de facto uniform for many an L.A. woman. Where companies like Lululemon and Nike focus more on performance-oriented options, Alo Yoga combines functionality with high fashion. Trendy items like moto-style leggings, transparent jackets, and deconstructed hoodies are as at home in the gym as they are out on the town. No sweating required. At the Echo Park branch of Manly & Sons, you can get a classic cut and shave and then browse shelves lined with everything you didn’t know you needed to look your best. (Among them, Layright and Uppercut pomades, Colonel Ichabod Conk beard washes, Italian Proraso soaps, shaving cream brushes, Bixby beard picks, and other specialty items.) New to the whole grooming thing? The sta has more than a few pro tips to get you on your way. Silver Lake’s Bar Keeper doesn’t disappoint with its selection of unique spirits and glassware. When you’re looking for a complete setup, though, Thoro Bar Supplies is the place to go. Primarily a wholesale supply shop since the ’40s, it opened a retail boutique next door in 2012 that stocks everything you’ll want in your mixologist-worthy dream: garnish trays (for blue cheese-stuffed olives and Luxardo cherries), hammered copper mugs (for Moscow mules), swizzle sticks (for those who prefer things stirred), and more—much more, including Breaking Bad-esque chemistry beakers for diehard cocktail creators/mad scientists. The right rug can tie together an outdoor living room in unexpected ways, and the options at Viesso go far beyond the basic jute and sisal ones offered elsewhere. Metallic hues, bright geometric designs, plaids—the options are plentiful in materials like environmentally certified plastics, bamboo silk and UV-resistant synthetics. If you can’t find exactly what you’re looking for, the company’s catalog has more than 200 options that can be delivered to your door. Husband-and-wife duo Taku and Keiko Shinomoto celebrate the ancient craftsmanship and modern-day artisans of their native Japan at Tortoise General Store. The tightly curated stock includes tea canisters by Kaikado, hand-dyed cotton tenuguis (or hand towels) from Kamawanu, and a large selection of Hasami porcelain plates, bowls, and cups. Traditional clay-pot rice cookers with wooden paddles o er an ele- gant alternative to the standard electric models, while decorative pieces like cast- iron candlestick holders by Nambu Tekki will boost your tabletop decor. Looking for A mustard yellow glazed pot for your rosemary? Or maybe you want some planters to match your rattan outdoor furniture? 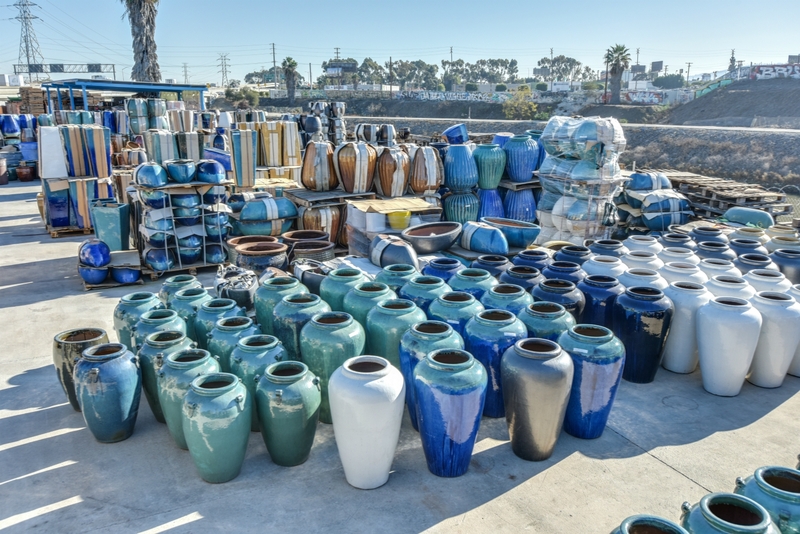 The massive indoor-outdoor factory showroom Pottery MFG is lined with all manner of vessels—Egyptian-style urns, midcentury modern columns, whitewashed wood-patterned fiberglass window boxes—in a riot of colors. The factory-direct prices help you save a little green for your green thumb, too. Scoring a standing appointment with a celebrity nail artist like @NailJob, @SweetBCreations, or @SoHotRightNail is a tall order (follow them on Instagram to see when they’re taking new clients). In the meantime, manicure fanatics in need of a regular fix can jazz up their digits at Esnail on Melrose. The salon has roots in Japan—a mecca for nailistas—so most of the technicians are trained to elevate a basic gel mani with the latest in colored foils, 3-D gemstones, and hand-painted techniques. Keep your eyes peeled: You may be getting a full set alongside Issa Rae or Lucy Hale. It’s one dread of modern-day travel: watching your phone’s battery light drain into the red. Rather than spending your life looking for the next available outlet, check out the stock of porta- ble charging devices at Brandswalk in the Bloc downtown. Options range from pocket-friendly chargers to battery banks to rolling suitcases with powering capabilities (plus a large variety of non-techy travel bags). There’s also a nice selection of noise-canceling headphones (because, babies on airplanes) and wireless speakers to supplement the weak sauce that came with your hotel room. You’ll never look at a standard selection of socks and stockings again after you stop into Beverly Hills Hosiery. The operation had been in business in the same neighborhood for more than eight decades before relocating to downtown L.A. last year. The massive array of pantyhose types includes footless, body stockings, thigh-highs, knee-highs, garter belt styles, and suspender tights. You’ll find hundreds of options—colors from neutrals to neons, more lace varieties than you thought possible, back-seam numbers, and fishnets—and the knowledgeable staff is happy to track down specialty items. Whether you want tall and wispy, short and barrel-like, or something in between, a cactus can lend a sculptural element to any space. And it’s fitting for an area where water is a limited commodity. The California Cactus Center in Pasadena always has plenty of grab- and-go pre-potted arrangements, but for specialties like baseball-size Japanese Astrophytum hybrids and other hard-to-find (and common) varieties, Desert Creations in Northridge is top-notch. The rambling operation started in the backyard of owners Artie Chavez and his wife, Kim, who just so happens to be president of the Los Angeles Cactus and Succulent Society. There are worse problems: Your selection of bottles has grown too precious to leave lying around the homestead, and a personal cellar isn’t an option. Ideal55 will keep your liquid assets secure in state-of-the-art climate-controlled lockers and walk-in rooms that can hold anywhere from 12 to 1,000 cases. There are multiple locations, each offering 24-hour access and a full range of services (pickup, delivery, appraisals), and Ideal55 puts on tastings at restaurants to keep the inspiration flowing. Cheers. There are humane ways of stylishly suiting up for a special occasion in summer, and none of them involve heavy wool. In a showroom punctuated with a red grand piano and matching chandelier, ISAIA in Beverly Hills offers racks of seasonal suits and jackets made with breathable linen, cotton, and blends and featuring half linings to help you keep your cool. The daring can opt for sorbet colors or vivid windowpane checks, but there are plenty of neutrals as well. Make the most of L.A.’s weather by making the most of your patio or balcony. Grow in Venice has all the tools you’ll need. The shop’s mostly alfresco setting packs in plants and containers, wind chimes, hammocks, firepits, pillows, tchotchkes, compact fountains, and other stylish accessories. Those classic brightly colored bistro chairs, side tables, and sleek modern pieces? They are by store founder Ilan Dei, and they complement the durable cocktail equipment in stock. 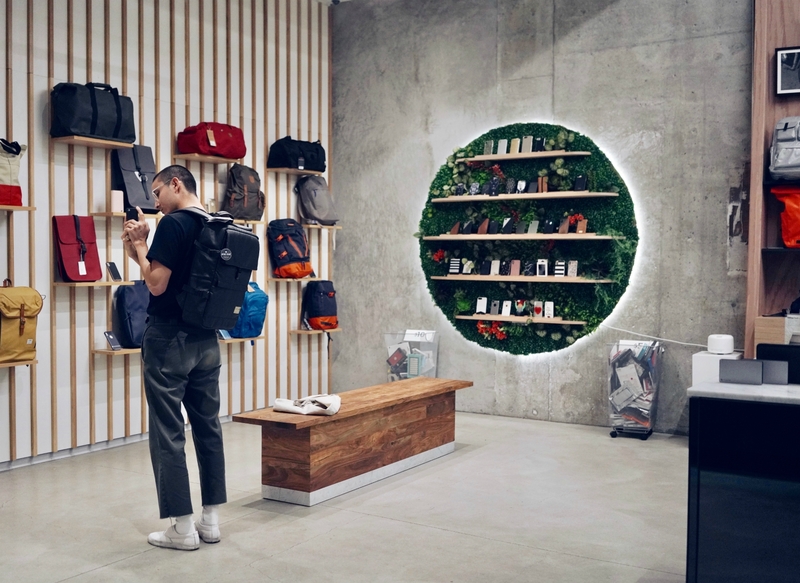 While hard-core bike commuters might prefer the utilitarian, all-weather bags at Mission Workshop, Timbuk2 on Abbot Kinney has a variety of carryalls to suit everyone from actual messengers to executives. Super versatile and durable without sacrificing looks, they come in loads of styles. Colorful sling bags hold your basics (phone, wallet, sunglasses). Waterproof nylon numbers, complete with padded laptop compartments, feature built-in reflective elements yet won’t look out of place in an office. And leather options are available for folks who want to impress in the boardroom. When the dog days have passed and there’s a nip in the air, the discerning pooch will look fetching in a garment from Fifi & Romeo. Decked out like Marie Antoinette’s dressing room, with soft pink walls, robin’s egg blue silk curtains, and crystal chandeliers, the shop specializes in anything- but-ordinary sweaters that range from crocheted and argyle knit versions to velour hoodies and polka-dot tops. Plus the garments are handmade in L.A. using recycled materials. 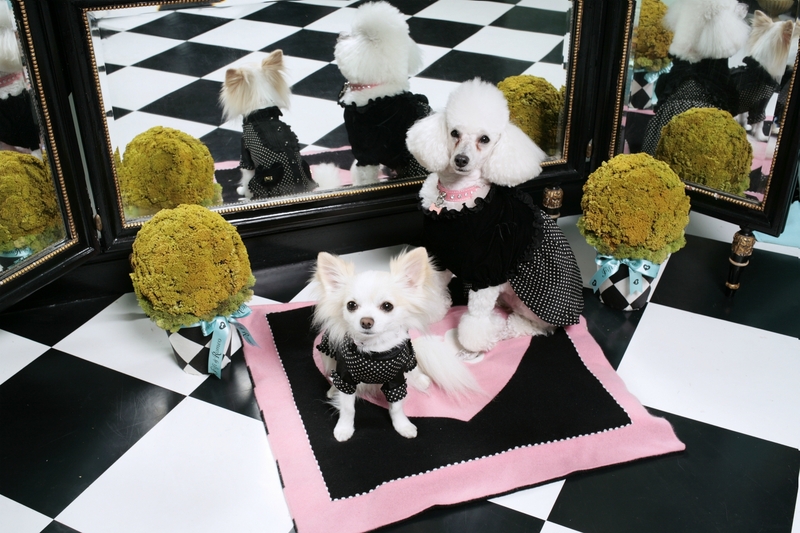 For top dogs (or at least fancy ones), there’s a line of couture pieces like pearl-embellished dresses. Bows, bandannas, sparkly collars, and leashes complete the makeover. 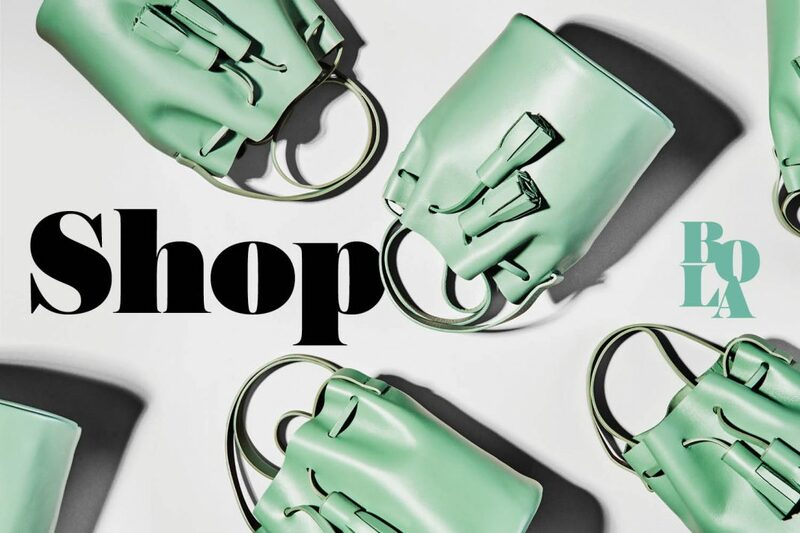 The simplicity of a single-compartment handbag with a drawstring closure has its charms, but the style can be so minimalist, it’s almost bland. And then there are the elegant ones created by the Wu sisters of Building Block, which feature clean lines and sculptural hand-carved wood accents. The pair use high-quality and natural vegetable-tanned leather that develops a patina over time. Our fave? The very-now clear and tinted PVC versions. The big guitar vendor in town isn’t exactly where you go for customer service when you’re shopping for a mandolin. And while a lot of indie shops are more person- able, they don’t have the same depth. Roland Belloir had those concerns in mind when he opened the Fretted Frog in 2010. There are more than two dozen models available—octave, mandocello, electric—from coveted brands such as Weber, Eastman, Kentucky, and the Loar. The service is expert, and so is the instruction that’s offered via private lessons for beginners. You’ll have your Dave Matthews tribute band going in no time. 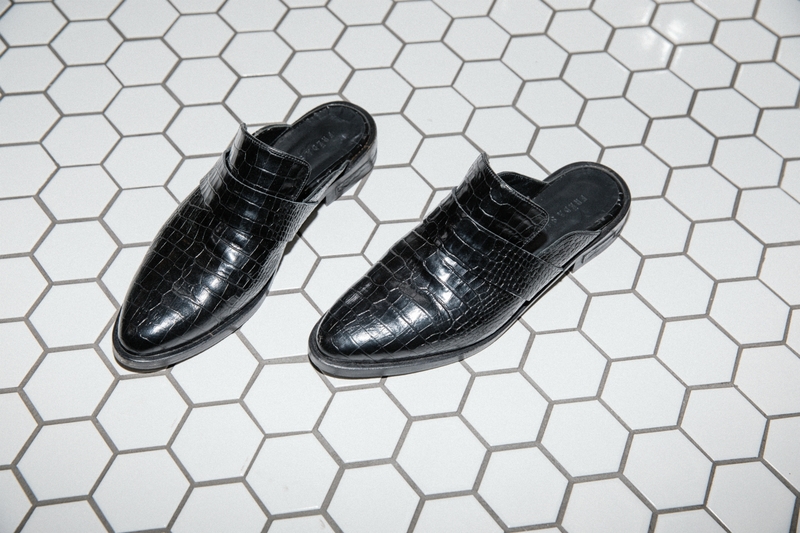 They’re the least fussy shoe—slip on, slide out. Easy. But mules don’t have to be boring or resemble slippers. You’ll discover some unique twists at the Edit by Frēda Salvador + Janessa Leoné. Designers Megan Papay and Cristina Palomo-Nelson have created slides based on traditional oxfords, western boots, and court shoes—all made in Elda, Spain. The store shares space with hatmaker Janessa Leoné in case you want a new lid to match your kicks.